This compilation from the award-winning Christian City Church Oxford Falls gives you the freshest new worship plus a few of your favourites. Includes the hit songs, 'Hiding Place,' 'No Longer I' and many more! A great taste some fresh new worship! 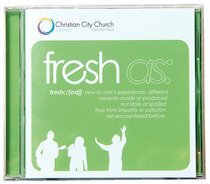 About "Fresh as - Christian City Worships"